Has Our Supplement Obsession Gone Too Far? Nowadays, it seems like there’s a product to fix all of your problems. Energy levels running on empty? Sprinkle some dust into your smoothie for a quick boost! Supplements and vitamins have been around forever but weren’t widely discussed until around 1912. Fast-forward to when the Food and Drug Administration passed the Dietary Supplement Health and Education Act of 1994 to enforce some form of regulation and give consumers better “access to current and accurate information about supplements.” Shortly after this went into effect, Perricone MD started introducing science-based supplements to the market in 1999. It wasn’t until Moon Juice founder Amanda Chantal Bacon made some noise with her blends of adaptogenic superherb dusts that people started viewing supplements as an enhancement for food. Now dietary supplements are practically everywhere in the form of pills, powders, potions… You name it! They’re all available at our fingertips, whether we choose to head to the nearest drugstore or supermarket IRL or online shop. The FDA defines supplements as “a product intended for ingestion that contains a ‘dietary ingredient’ intended to add further nutritional value to (supplement) the diet.” According to the Nutrition Business Journal, the supplement industry was worth an estimated $37 billion in 2015 and continues to grow at a rapid pace. 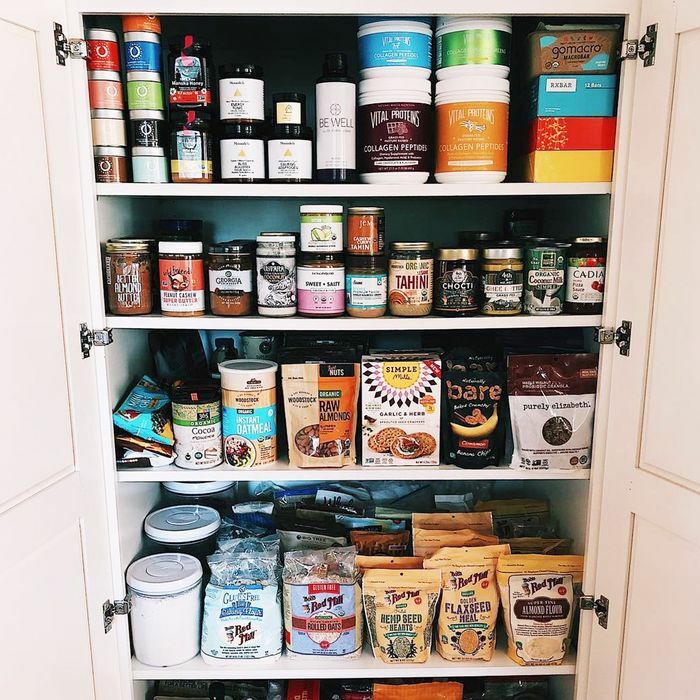 As gut health becomes increasingly more important to the mainstream, it’s important for consumers to know which companies they can trust since it’s a self-regulated field that doesn’t require manufacturers to acquire approval from the FDA. The focus is finally veering away from diets as our attention switches to the internal mechanics. Back in January, RMS Beauty introduced dietary supplements to its roster—the women’s digestive enzyme and a probiotic—and Chillhouse launched a line of its own adaptogen powders at the cafe. Now that wellness gurus, bloggers, and coaches act as walking billboards to advertise supplements, there’s even more room for consumers who know virtually nothing about these types of products to fall between the cracks. There are so many different options at our disposal, and it can all feel incredibly overwhelming. Hum Nutrition co-founder Walter Faulstroh has mixed feelings about the lines getting blurred. The Beauty Chef founder Carla Oates has been committed to promoting inner beauty from the belly through natural products ever since she created her first food-based probiotic powder in 2009. Her whole life philosophy pretty much revolves around the correlation between gut and skin health, and she’s made it her personal mission to educate people on “how to look at their skin more holistically and how what you put into your mouth affects it.” In addition to running her own brand, Oates is the author of Wellbeing Beauty Book, a natural-beauty columnist for WellBeing Magazine and a goodwill ambassador for Australian Organic. A few months ago, The Nue Co launched a pop-up store in New York City. Throughout the 20-day run, customers had the opportunity to learn more about all of the organic supplements and closely interact with the brand’s owner and founder, Jules Miller. As a quiet observer, the biggest takeaway from the whole experience was watching how many people approached Miller and her team with questions like “What product do I need?” rather than addressing their specific concerns and identifying areas that could benefit from improvement. As a pioneer in the space, Oates has always worked with both a nutritionist and a microbiologist to ensure there is microbial diversity within the different probiotic strains that are used in The Beauty Chef’s supplements. She also believes that it’s just as important for consumers to look into a company’s history and philosophy as it is to research the integrity of the ingredients and where they’re being sourced from. Many of the founders also organically entered the world of wellness after experiencing health issues such as eczema or irritable bowel syndrome. Faulstroh took an interest in developing better supplements after discovering that the root of his problem with adult acne was directly linked to his gut. The bigger question is does everyone actually need to be on supplements? Simpson believes that’s not necessarily the case. While ideally, you should check in with your physician before making any major changes to your diet and lifestyle, it's also worth assessing your own habits and well-being for any potential gaps. To this end, brands like Hum Nutrition and Care/of also offer quizzes and surveys for customers to take prior to placing an order. Simon warns consumers to “look for quality over quantity formulations and clinically validated ingredients over multiple ingredients and proprietary blends” that come from GMP-certified manufacturers and/or have third party–certified facilities. She also advises that people look for “naturally derived” products because the “all-natural” label can be a misleading claim among many others. Recolonizing your gut doesn’t have to be a painful process, but it’s important to proceed with caution and continue to nourish your body. The future of gut health in connection to intestinal and digestive health is far from compromised, and supplements are merely one phase in the ongoing discussions around food intolerances, inflammation, and immunity.